Stephen Fox combines the backgrounds of musician, instrument maker and scientist. Born in England, raised in Western Canada and currently based near Toronto, he began his university studies in physics, achieving a Master of Science degree with a thesis in theoretical plasma physics from the University of Saskatchewan. Deciding on a career in music, he received a Bachelor of Music (Performance) degree, studying clarinet with Margaret Wilson and saxophone with Marvin Eckroth. 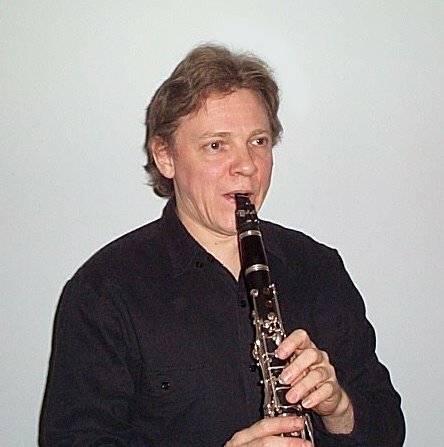 An active performer, he plays clarinet, saxophone and historical clarinets in orchestral, chamber and commercial music settings in the Toronto area, and has presented recitals and solo performances in Norway, Sweden, Finland and the Czech Republic as well as at various locales across Canada and in the U.S.A. He is a founding member of the Riverdale Ensemble (performing on modern instruments) and Ossia (period instruments), and has released recordings with each group. For the past three years he has been invited to perform at the International Clarinet Association ClarinetFests in Stockholm, Salt Lake City and Washington, DC. He is one of a select handful of independent clarinet builders in the Western Hemisphere, designing and producing both modern clarinets and reproduction historical instruments. His clarinets are currently used by musicians in the fields of symphonic music, period instrument performance, jazz and klezmer music in Europe, Japan and North America. His lectures and demonstrations on musical instrument acoustics, design and history have been heard at schools and universities throughout Canada and in Europe, and at several ClarinetFests. For a number of years he has been one of the best known woodwind repair technicians in North America, performing overhauls, tuning, custom alterations and catastophic damage repair for numerous professional musicians. Since 1994 he has taught annually at Musikk Instrument Akademiet in Norway, and in 2004 was invited to teach at the Third International Masterclass for Clarinet at the University of Ostrava in the Czech Republic.